The Jaeger-Lecoultre Memovox is our favorite vintage watch. We've dedicated an entire page to the Memovox to share the love. 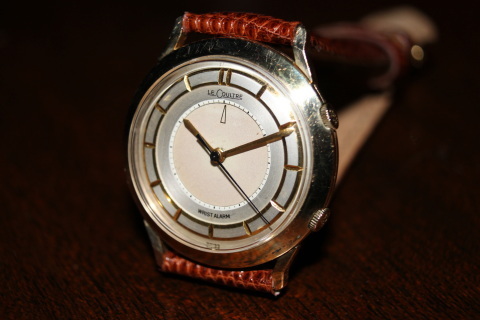 Symbolizing the organization of time and efficiency of the post-war boom period, the Memovox, literally meaning “voice of memory” quickly became the watch of excellence for men. It’s striking mechanism gave a pleasant accent to the schedule of daily life: waking up, appointments, train timetables or parking meters. 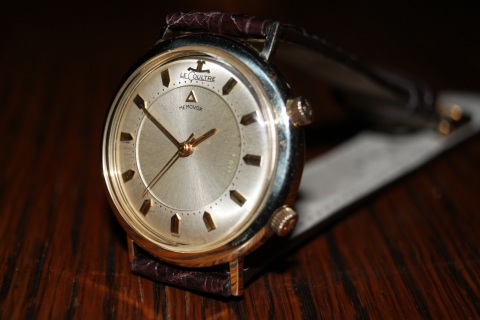 The first Memovox models were hand wound, Jaeger-LeCoultre Caliber 489. 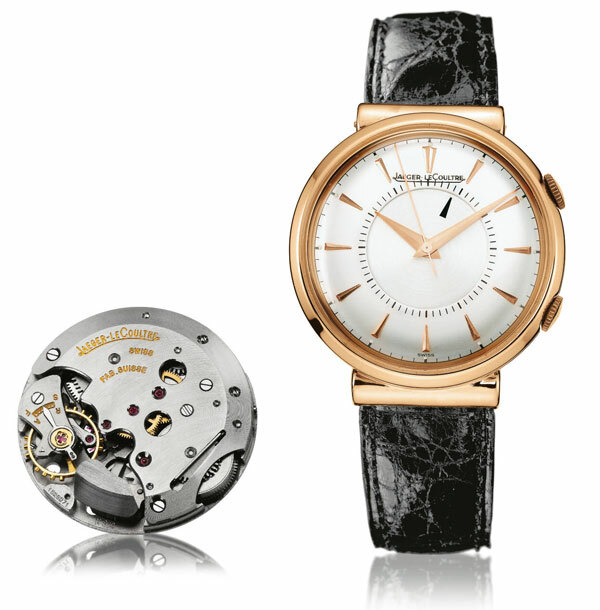 Thanks to their exceptional quality Memovox Calibers continue their career today: representing exceptional longevity for the watchmaking world. 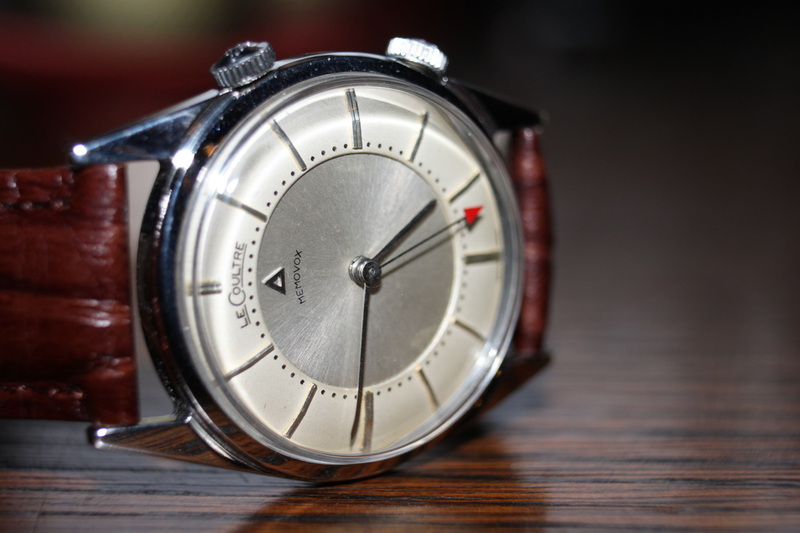 In fact, the Memovox inspires Jaeger-LeCoultres two most iconic watch lines made today, the Master Compressor and AMVOX. 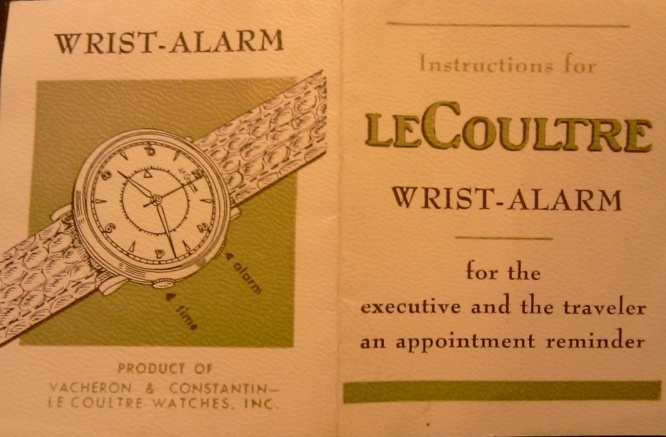 1949 - Jaeger-LeCoultre develops the Memovox resulting in the caliber 489 manual wind wrist alarm. 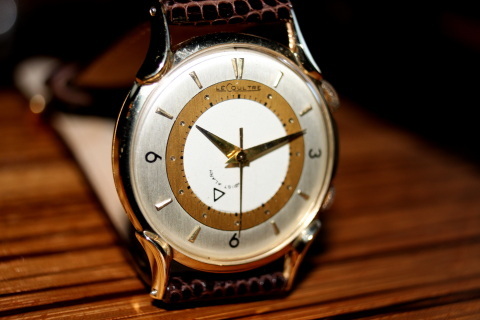 1950/51 - The Memovox is brought to market and initially called "Wrist Alarm" using caliber 489. The watch is available in a variety of dial styles and case materials such as stainless steel, solid gold and gold filled. 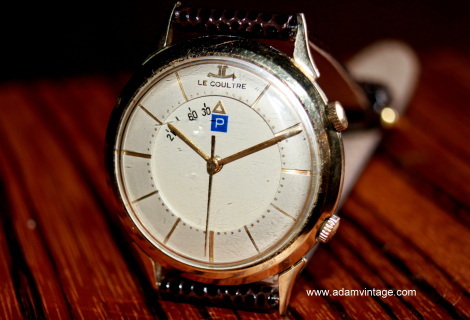 The watch is notably recognizable with its dual crowns. The top crown that winds and sets the alarm - while the bottom crown winds and sets the time. 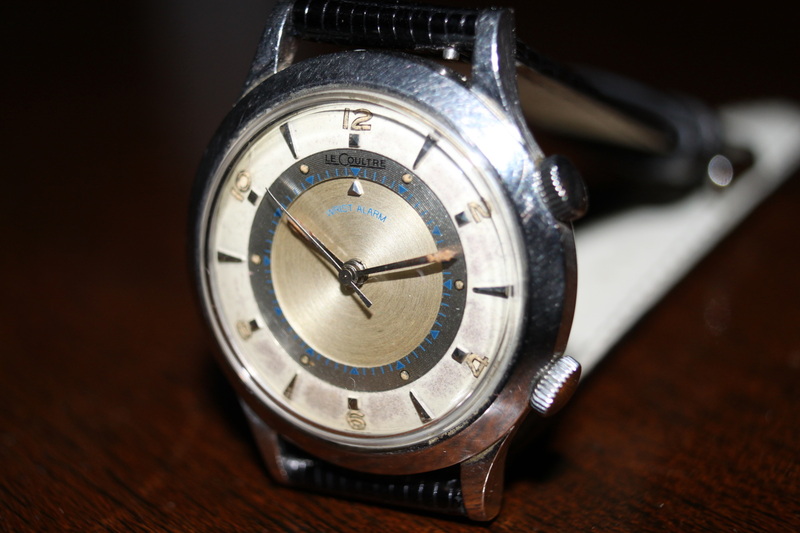 The watch is also available in a version with shock protection (caliber P489). noted; however, mostly to facilitate more efficient production and ease of service. With this new release came the addition of an additional shock protection option, caliber K814 which incorporated Kif shock protection. Also around this time, a small number of caliber 601 was produced - these were transitional calibers as the 489 was being phased out but before the 814 was released. 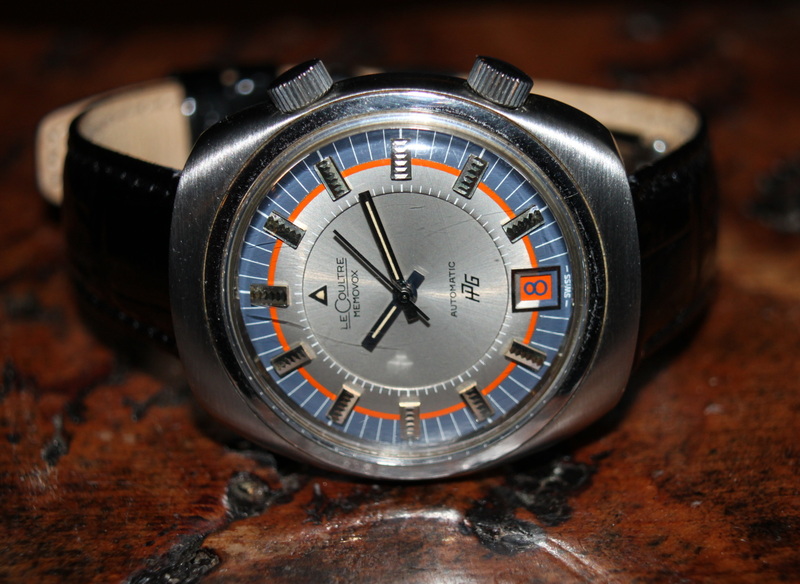 These 601 calibers are quite scarce. 1956 - Jaeger-LeCoultre produces the first automatic bumper style Memovox, caliber 815 (no date) and caliber 825 (with date). These watches were very popular and produced in a variety of dials and case materials. 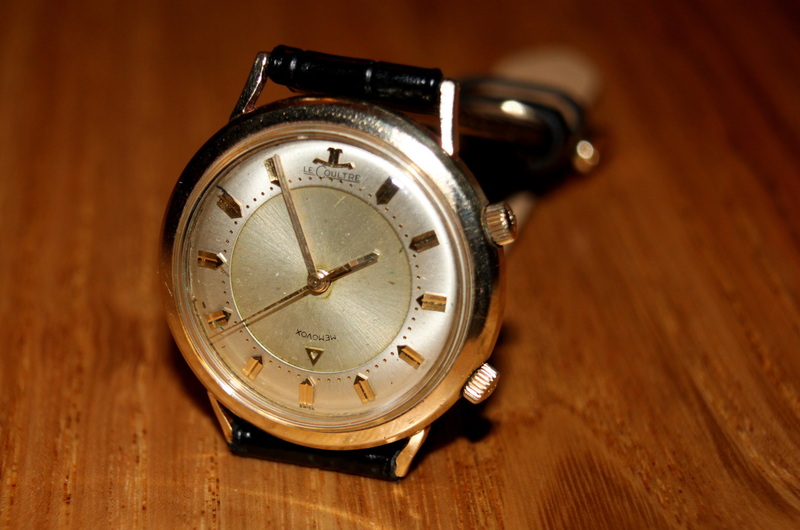 The most famous use of these two movements was in the highly collectible and expensive divers watches. 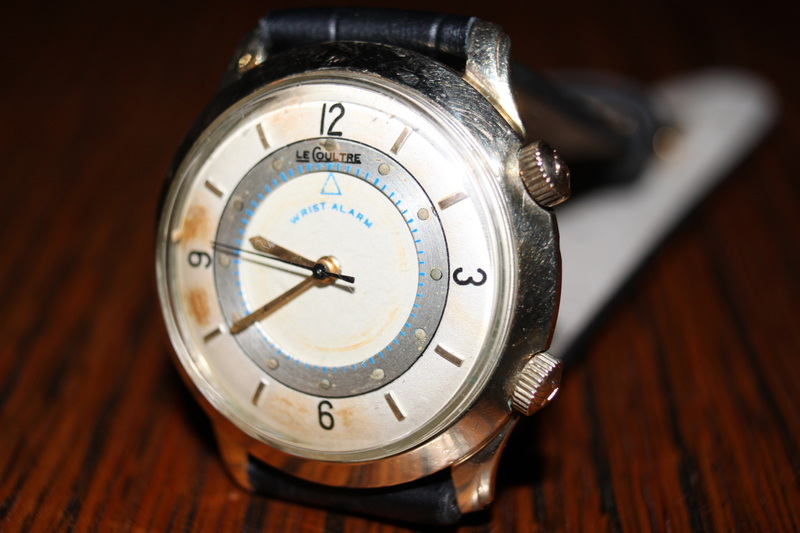 The 200m rated Deep Sea used the cal 815 and was produced between 1959 and 1961, with only 950 watches produced. 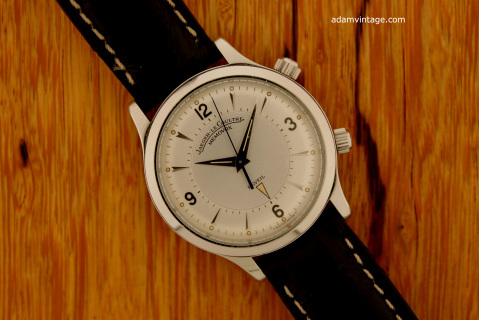 The 42mm Polaris used both the alarm complication and JLC's super compressor technology, which was a precursor to today's Master Compressor watches. 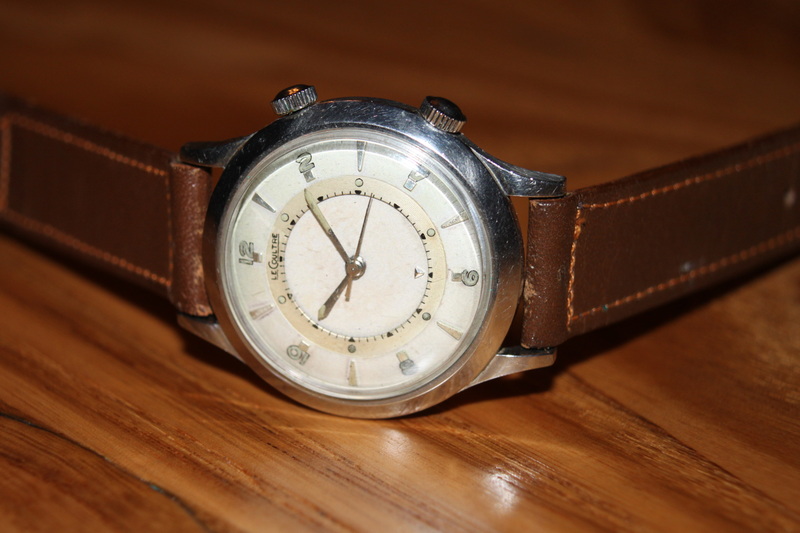 The Polaris used the cal 825 movement and was tested to 600m. 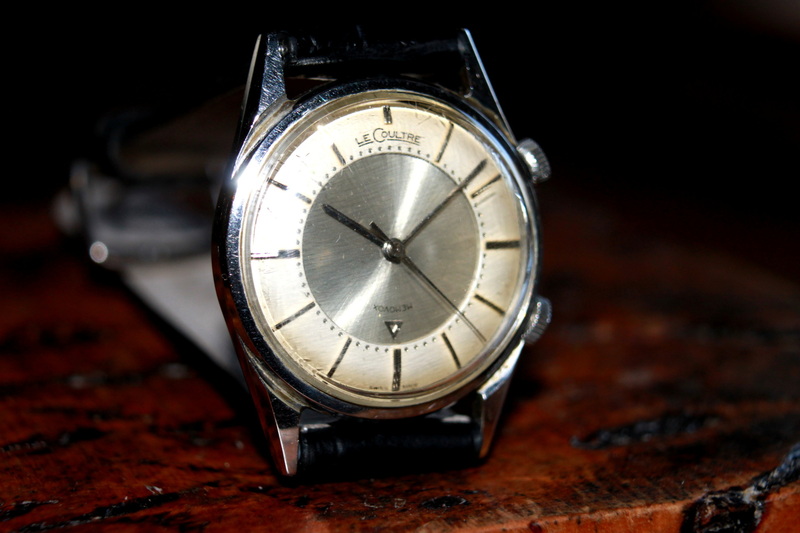 It was produced from 1965 to 1969. 1964 - Caliber 910 (no date) and Caliber 911 (with date) is introduced replacing caliber 814. The new 910, still a manual wind movement, appeared to have incorporated Kif shock protection as standard equipment, removing other shock protection methods and the special shock protection designation as in previous calibers. By this time, shock protections was standard on all Memovox watches. 1969 - A huge milestone for Jaeger-LeCoultre is the development of the fully automatic bi-directional winding Memovox, resulting in the release of caliber 916. The 916 was a date version movement, which required a redesign of the alarm mechanism to allow the rotor to swing freely through 360 degrees. 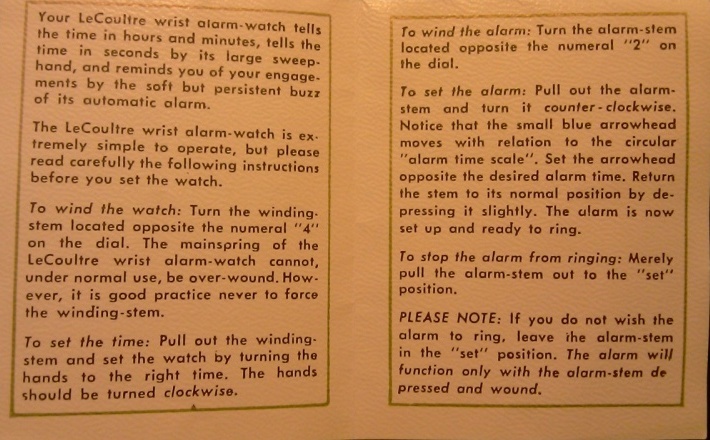 The 916 was the first alarm movement in history to incorporate a fully automatic winding system to wind both the timing and alarm mechanism. 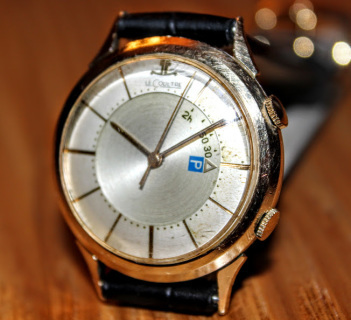 It ran at 28,800 beats per hour, compared to the 18,000 beats of all the previous calibers and is often called the "speedbeat", for obvious reasons. This movement developed into caliber 919, then caliber 918 - which was still used up to 2005 in the Master Compressor series. 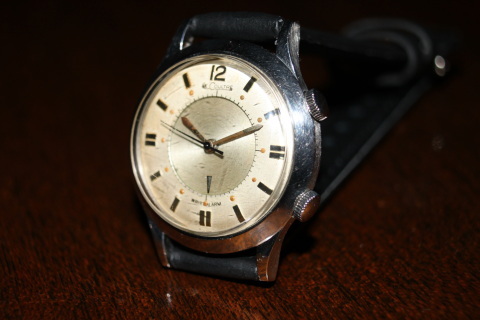 A rare Memovox travel desk alarm with very nice enamel black hunter style cover. 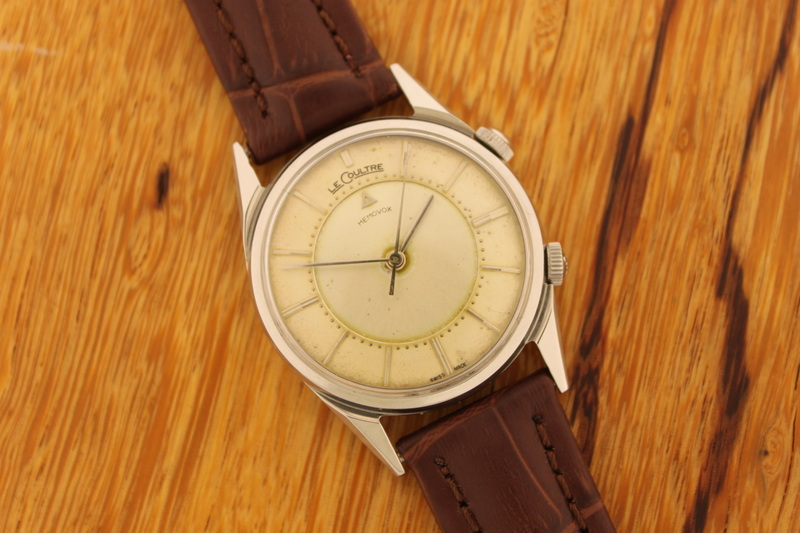 The original silver dial is mint. This Jaeger-LeCoultre Memovox desk come with its original box, original paper instructions and original leather sleeve. 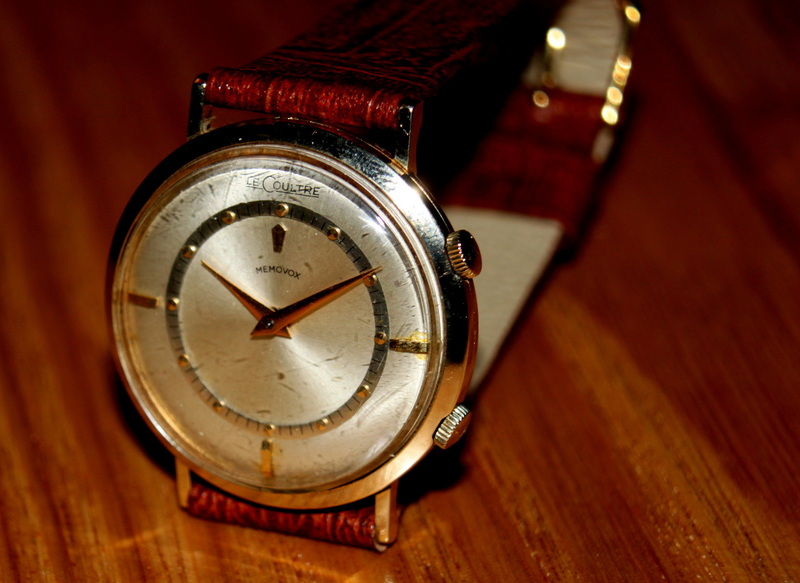 The movement is a P489/1 with shock protection - most uncommon movement. You'll notice the movement has lost most of its plating; probably dissipated. 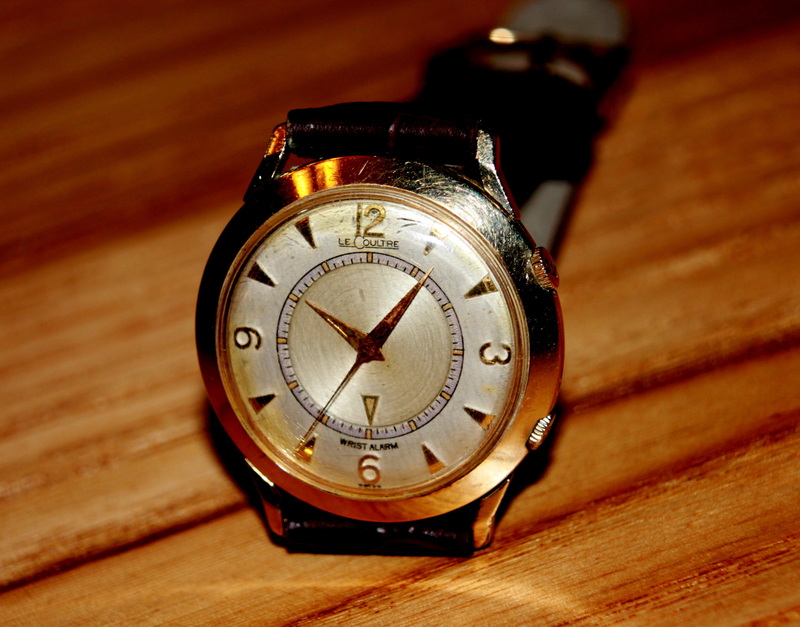 The movement has been serviced and keeping excellent time and the alarm works perfectly. 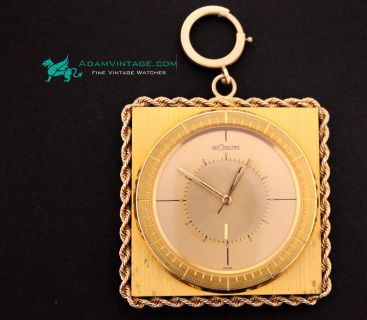 This near mint example with box and papers is a truly magnificent find; especially with this stainless steel black enamel and perfect bake-light black edge surface example. This model is very tough to find.